Apparently, Gregory live-streamed David’s “Glorious” on FB… fingers crossed we get to see/hear it! David: You haven’t changed either, still as energetic. Ah! The good old Fangirling mode is on, again! IS THERE ANY SMILE SMILIER THAN THAT OF A PERSON MEETING DAVID ARCHULETA?!? also, how cool is this? OMIGOSH, KEIKO GOT THE SETLIST!!!! @DavidArchie how can you sing a Chinese song with such perfect pronunciation lol. You’ve must put much effort on it. We are all touched. 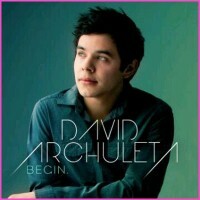 @DavidUniverse @DavidArchie he did a wonderful cover for it. The song is really an epic for Chinese all over the world. Shared by Gengen: Professional photos of David at Taipei Press Conference from Mr. Chewea Hu. Thanks, G.!!!! Exciting times!!!! Hopefully there will be lots of vids and pics!!!! How nice that Gengen is there…and Gregorie, possibly other fans. Hey, we’re everywhere! Gengen! How great to see her(you?) again! The greatest fangirling session I was ever in involved her and a bunch of other great people in a hotel room in Idaho Falls. Aww, I miss Gengen even as I admire the sacrifices she has made to do the work her heart says she must. Does anyone know what David is actually doing in Taiwan? Is it connected with his church? Wishing him a lovely trip! 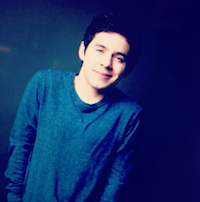 Go to The Voice David Archuleta website for a wonderful article about all the places he will be singing in Taiwan. 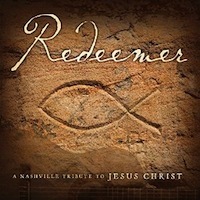 It is all church related but is jam packed with lots of beautiful venues. Added more pics from Gengen and here’s a blog from HPfanrinnie!!! How sweet is it to see Gengen again?! Loving these pictures and the reports about David’s latest of many excellent adventures. Thank you so much for this! I confess that the pictures of Gengen hugging David made me tear up! Such is the love Archies have for him! Me, too! I could tell from that first smile that he recognized Gengen (he is so awesome that way!). I wonder if she got to tell him what she’d been doing? What an awesome group of fans, from first-timers to old-timers! My heart is happy. Really, really nice to see that sparkle. I agree with Jeanne, it’s part of the “whole package” that keeps me coming back. Do I spy Gina Orr? Yes! I’m sure that’s Gina! I can’t stop smiling. So happy to know Gengen was there; had no idea she was still following him <333 Happy to see David remember her. And Deb so true what you said 'Who knew she’d have better luck seeing David sing there, than I have here in Toronto?'!!!!! I hope he shows up in your neck of the woods to serenade you and Refnaf in the not too distant future! So happy for Gengen that she got to see David! OMJ! She even got a two-armed hug! Love that he’s doing these mini-vloggy things! We recently received some health news regarding a fellow fan/family member: Margie (@Hunnzy). Margie ‘ok’d” us sharing this news with all of you. If you recall, Margie had been diagnosed with kidney cancer this past Spring and on May 2nd, she had her affected kidney successfully removed. Now, however, she has been diagnosed with breast cancer. Margie has opted to enter a program using alternative therapies (no chemo or radiation) and has travelled to Mexico with her husband to begin this program called “Hope4Cancer.” She will be there until August 26th. Margie shared that she is feeling strong both physically and spiritually. She is excited to see “what God is doing” and thankful that she was lead to this program. Margie would be very thankful and grateful if you could keep her in your thoughts and prayers during this time. We are wishing the very best for her and are hoping for successful treatment and healing!! We have created a group card in support of her that will be delivered on Friday afternoon. If you would like to sign her card and add a message, please click on the link below. Thank you!! I put mp3&mp4 in Candy Jar. trimmed the end on the mp3 cuz all the whoohooing hurts the ears. Wow, David singing in Chinese for the people there, how beautiful, sweet, thoughtful and amazing of him. Another language added to his singing repertoire! He does have a skill for that….among many others. Loving David’s “mini-vloggy” things too TOfan! Another great experience For David, being in Taiwan, I’m sure. Not to mention how special it is for the folks there. But nothing keeps that dimple down! 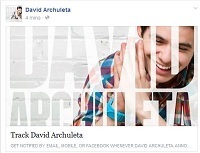 More pics added to end of post, courtesy of David Archuleta in Taiwan’s FB page. To quote one of the awesome-ist SnowAngelzzz….”Eeeeeepppppppppppppppppppppppp!!! !” All kinds of goodness and beauty to enjoy in this Taiwan trip. Just Wow. And David seems so content, still challenging himself for sure, but in an environment that speaks to his soul. Kudos and a big Bravissimo to him. I need a road trip fix. ****remembers St George, 2015….awesomeness***** LOL. Can’t do the fall this year but I’m going on one next year for sure. I am always in awe that I got to be a David fan.